Disappointing news, if true. Sure looks true to me. The proof is in the pudding, and as of this past week, vacant wall space sits where my framed blog once sat proudly. For anyone out of the loop, I wrote a blog towards the end of my senior year at Rutgers dedicated to Hansel N’ Griddle, my favorite eatery in New Brunswick. Along with many others, I ate their regularly and spent ungodly amounts of money there. It was such a huge part of my college experience that I wanted to thank Hansel in written form. The article spread, word got around, and the owner loved it so much that he printed it out, framed it, and put it on the wall inside the flagship location on Easton Avenue. 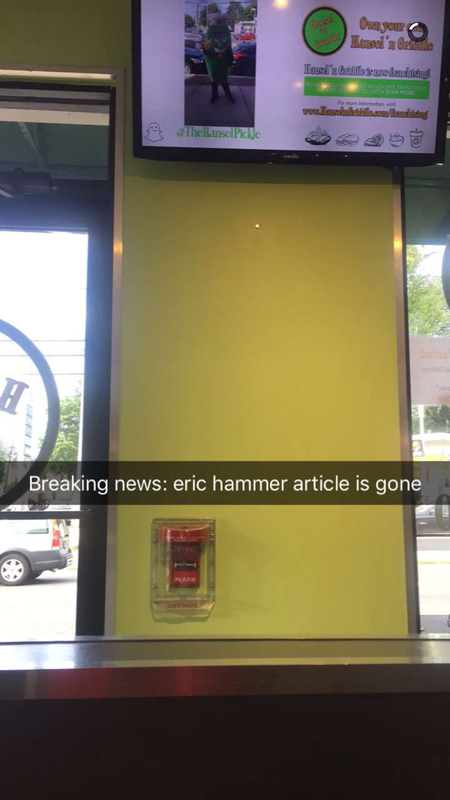 For 3+ years, the first thing anyone saw when they walked into Hansel N’ Griddle was TheEricHammer.com in big bold letters, followed by an original ~800 word thank you letter from yours truly. It’s my greatest creative accomplishment to date. But evidently all good things must come to an end. While I would have loved my blog to remain hung until Hansel N’ Griddle’s last day, I hold no ill will or resentment whatsoever. I was flattered and humbled to have had my words so appreciated to the point where they were proud enough to put my name on their wall. That was never my intention, nor would I have ever expected anything like that. 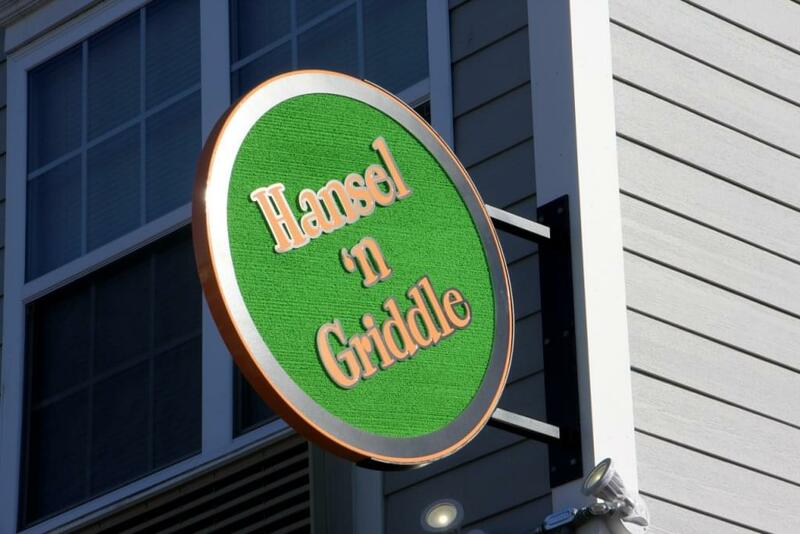 I will forever be indebted to Hansel N’ Griddle. Sure, I was troubled to hear of this “renovation”, but it’s all good. If they put it back up, great. If not, no worries. Maybe someone else wrote a great hit piece about Hansel and they want to recognize another lifelong customer. No matter the meaning, I still love Hansel. I am now not certain the place you’re getting your info, however great topic. I must spend some time finding out more or figuring out more. Thank you for wonderful info I used to be looking for this info for my mission. I’m no longer positive where you’re getting your information, however good topic. I needs to spend some time finding out much more or understanding more. Thank you for great information I was in search of this information for my mission.